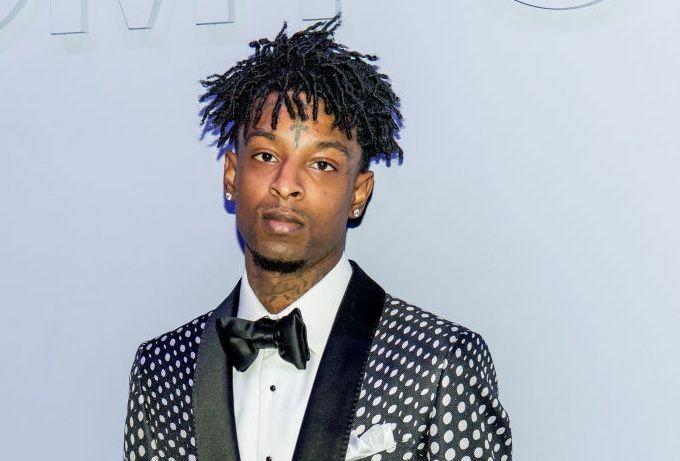 The Grammy-nominated rapper 21 Savage, who has long been associated with Atlanta, has been arrested by U.S. Immigration and Customs Enforcement. The agency says he is actually a U.K. citizen who overstayed his visa and that he now faces deportation. It turns out he was a U.K. national who came to the U.S. as a child but then overstayed his visa, federal officials say. He was taken into custody Sunday morning during a “targeted operation” in metro Atlanta, ICE spokesman Bryan Cox said, as reported by The Associated Press. In July 2005, when he was 13, Abraham-Joseph entered the U.S. legally but stayed in the country after his visa expired a year later, Cox told the AP. The rapper was convicted of felony drug charges in 2014, Cox said. But ICE was not aware of his immigration status at the time, and only learned later, an ICE official told the Journal. According to CNN correspondent Nick Valencia, Abraham-Joseph “was in the car with another rapper who was the target of a criminal arrest.” After law enforcement learned about his immigration status, Abraham-Joseph was taken into custody. His lawyer, Dina LaPolt, told the AP she has been working to get him out, saying her client is a role model to young people. Abraham-Joseph has said the “21” in his name refers to a street gang in Decatur, CNN reported. At the time of his arrest, his Wikipedia page had said he was born in Atlanta in 1992, according to The Washington Post.